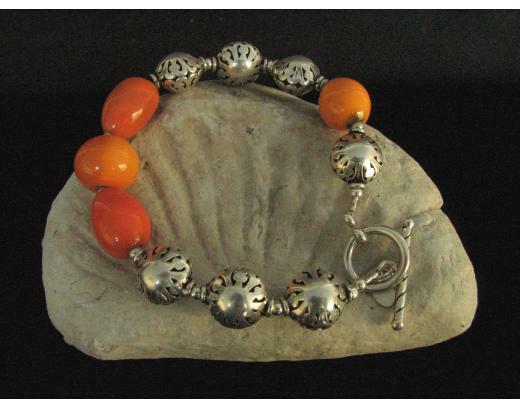 This chunky style 6.5 inch LAMPWORK AND STERLING BEAD BRACELET features colorful handcrafted lamp work beads and large 12mm sterling silver Bali style beads. 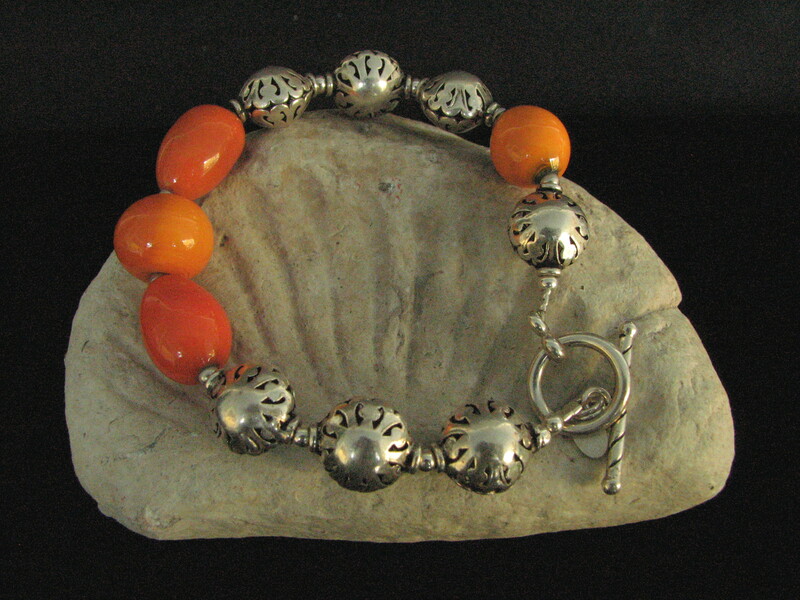 The toggle clasp is also sterling silver. This bracelet will brighten your day.